At home game show “Let’s Ask America” hosted by Kevin Pereira, which has gone through an over-haul this season (read about it here) in it’s Sophomore year, recently filmed an episode featuring all disc-jockeys from across the country. These DJ’s appeared on the show via Skype with two sets of radio partners playing to raise money for their favorite charities. Two of the charities included a local food bank, and Smiles Charity. The teams that that were eliminated still walked away with $1000 for their charities. 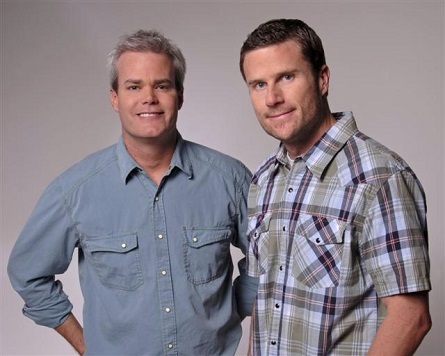 The parings included: John and Tammy from KSON 97.3 and 92.1 New Country radio station in San Diego; Bob and Marianne from 98 WRRM in Cincinnati; Brody Smith from 95.5 Wild in West Palm Beach; Ben and Matt form 102.5 KNIX New Country in Phoenix. 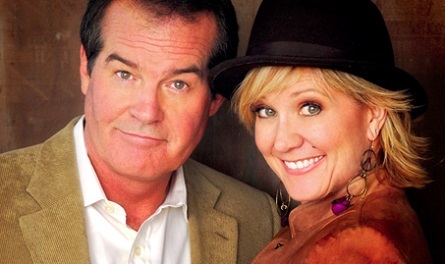 Brody Smith who is not part of a radio duo played solo on “Let’s Ask America” as well as Marianne who played without her radio and real-life partner/husband Bob Goen who is a former host of “Entertainment Tonight”. Goen hosted along side Mary Hart. 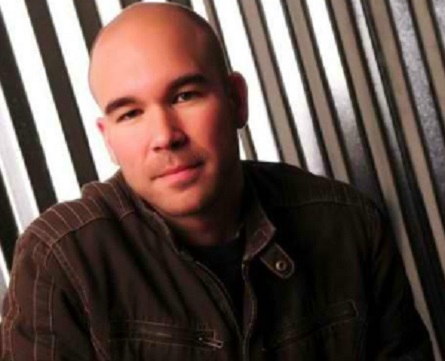 He currently co-hosts with his wife, Marianne Curan, on Cumulus’ WRRM-FM (98.5, WARM98). Goen also has roots in the game show world. He hosted the daytime version of “Wheel of Fortune” (1989-91), “Perfect Match,” “Home Shopping Game,” and “Blackout”. There were a lot of radio-related questions in this episode. It was, after all, for charity. One question asked of the disc-jockeys was what did most disc jockeys say who is easier to tune-out, their program director or their wife? The only DJ playing that was also a program director got it right. It was a good morning to drink coffee for some. Because during a “Dash For Cash” challenge tie-breaker, the DJs were asked to grab a mug and hold it up to their cameras. Two of the DJs playing together quickly raised their mugs up to their camera without getting-up while their competitor feverishly darted off to grab one. 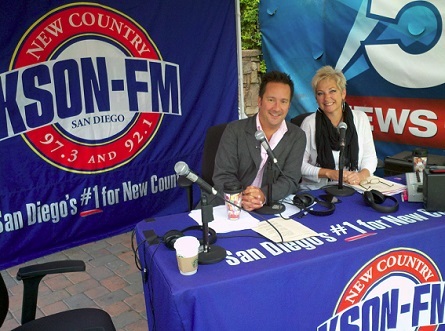 Pictured: KSON New Country DJs John and Tammy with Taylor Swift. Good news for those that would like to give winning money at home a shot. 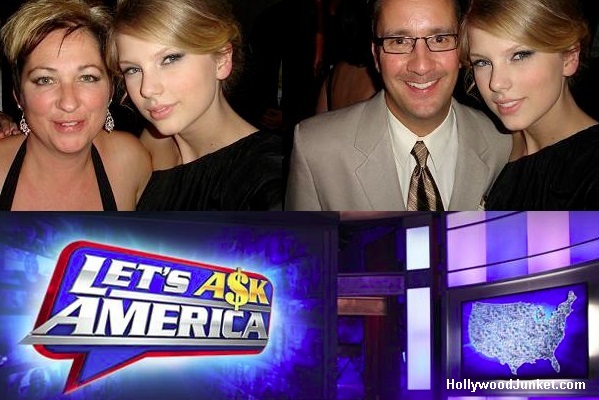 “Let’s Ask America” is still casting during it’s second season filming. Those that are interested can visit: http://letsaskamerica.tv/be-on-the-show/755 Another upcoming episode includes a body building/fitness athletes episode which they are casting for now.